The 20 Series P20-500BH is a premium spreader. It has height adjustable handles and pneumatic tires which are merged with hopper and gear system options, providing you with a choice for your application. Poly Hopper: The rugged poly hopper is less prone to corrosion than metal when used with ice melt and other corrosive substances. Welded Frame: The one piece welded frame ensures a robust performance and minimal maintenance. 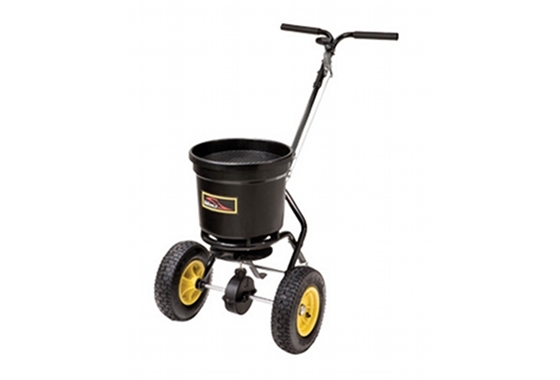 Solid Axle: Spyker spreaders feature a solid axle for optimal strength and durability. Construction: One piece powder coated frame.